A solvent-based primer specifically formulated to seal unstable areas which remain powdery and chalky after the surface has been thoroughly prepared for painting with Weathershield Masonry Paints. SHAKE CONTAINER VIGOROUSLY BEFORE USE. When the surface has been fully prepared any areas that remain powdery and chalky should be sealed with a coat of Weathershield Stabilising Primer. When fully dry apply 2 coats of the selected Weathershield Masonry Paint. 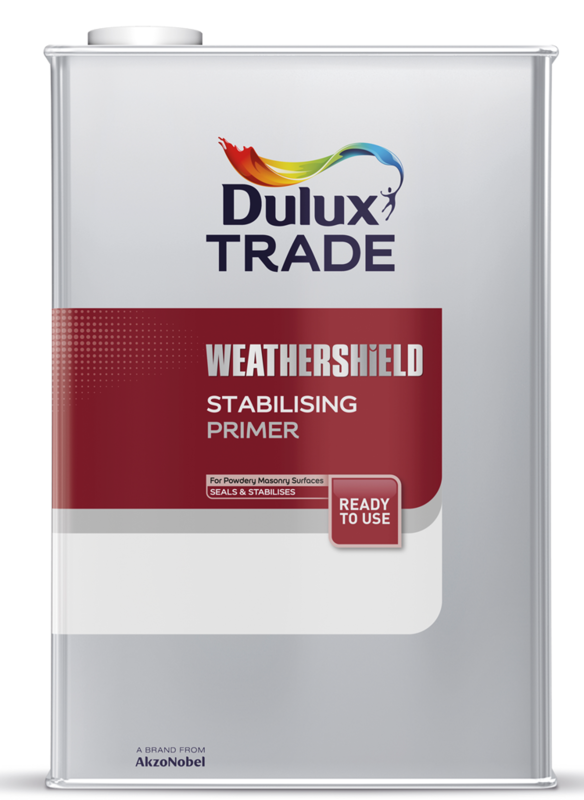 Weathershield Stabilising Primer should not be used as a general purpose sealer on normal or sound surfaces (i.e not powdery and chalky after the surface has been thoroughly prepared). New or sound bare surfaces should only be sealed with a thinned first coat of the masonry paint itself.